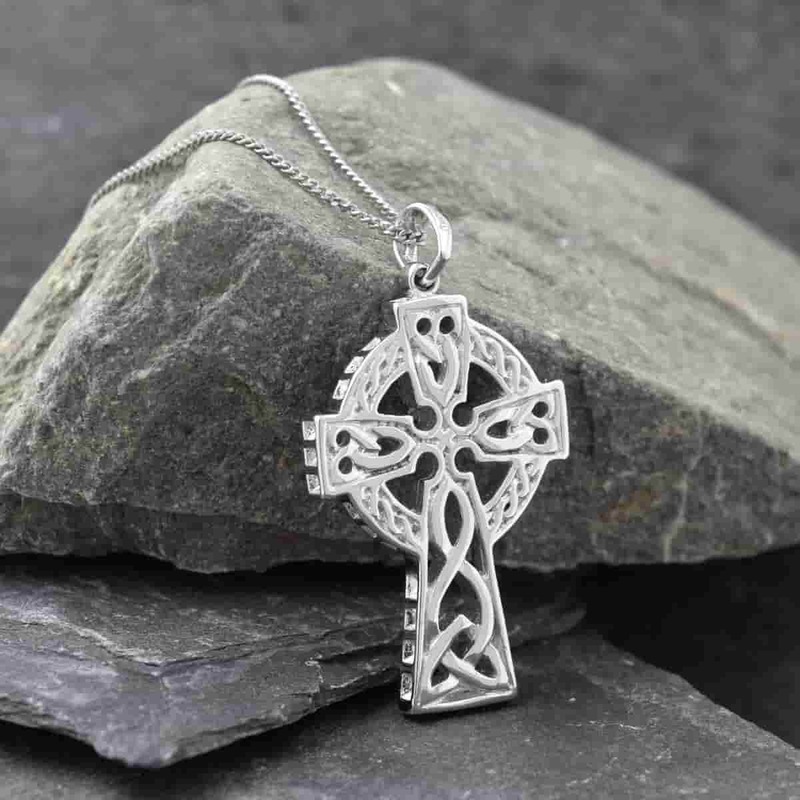 This solid heavy silver Celtic cross is one of our most popular pendants. At over 3mm thick, this beautiful Celtic cross has a substantial weight and really is an heirloom piece. Handcrafted in Dublin from the purest 92.5% sterling silver and hallmarked at the Irish Assay Office in Dublin Castle. 23mm wide, 33mm high, 3.2mm thick. With 18″ or 22″ chain.